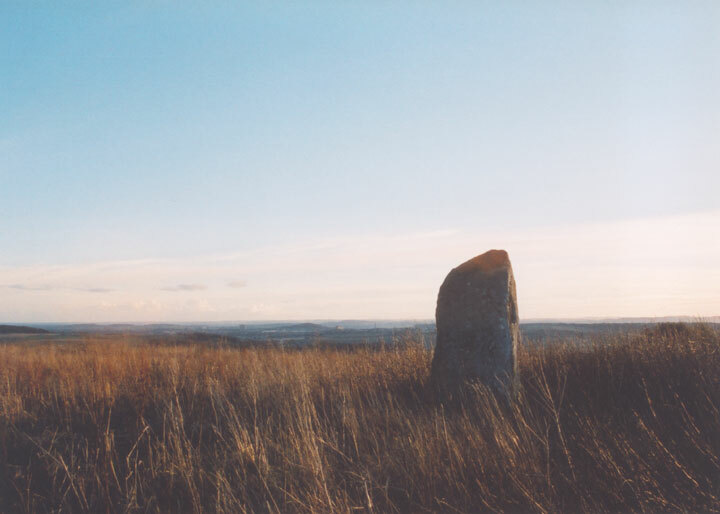 A huge standing stone measuring 2.70m (9′) tall, it is said to have been a marker for tracks through the heather. The stone is split down the middle, with several smaller stones inserted into the gap. Balkello is in the parish of Tealing and the county of Angus.